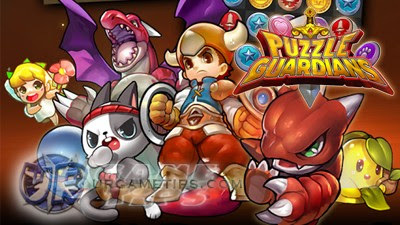 Here's a quick tips and guides for newbie players playing Puzzle Guardians, an Android and iOS Puzzle RPG mobile game. - Elements plays a crucial part in this game, that even mediocre gears can become very useful when used correctly. - Elements will also affect the damage you inflict and the damage you receive from enemies. Yes, Elements are your "Defensive Stats", since there is no DEF value in this game. - If you are up against an enemy with a Wind Element for example, it is best to focus your gears and guardians on Fire Element to get the best output. - Using Thunder Element is not recommended since Wind is strong against it. - Using same Elements like Wind against Wind is also not recommended because you will also get a lower percentage. - Neutral and/or Water Element are your safe choices if you don't have a nice Gear with Fire Element. - Example #1: If you will focus your Elemental bonuses to Thunder while facing a Wind Element, you'll get a very low attack and resistance percentage (55%). 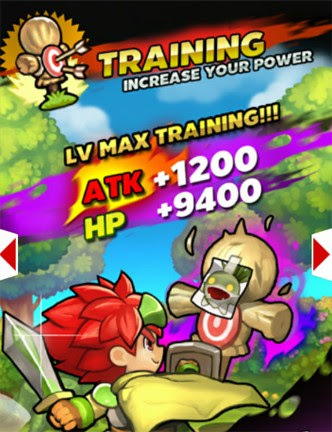 - Example #2: If you will focus your Elemental bonuses to Fire while facing a Wind Element, you'll get a very high attack and resistance percentage (155%). - Elements will start to matter once you reach the 2nd region - Rocky Canyon, because enemies that you will encounter in the Verdant Forest are all Neutral, and using any gears with better stats will do just fine. - Neutral Element ("empty icon") will only yield 100% fixed percentage rate. - The easiest way is to farm gears that drops normally after battle. The other one is by matching the gems to their corresponding treasure plates, giving you a chance to unlock a treasure and do a spin. - Keep at least 4 Gears per Element (Weapon, Shield, Helm, and Armor). Switch them around depending on what you need to counter the Elements of your enemies. - Keep your unused Gears though because some of them can still be used as Fusion materials later on. 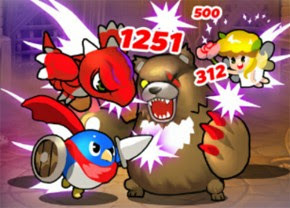 - More stars means more and higher stats, but these items are rare and harder to upgrade. - Complete Sets that you can to redeem more rewards from your Quests. - Alternatively, you can also get more gears from the Shop. For F2P players, just grab the free spins from the Gacha Shop. - Note that upgrading a Gear through Fusion will not only increase it's stats, but also it's Elemental bonus! Only upgrade if you need more boost though. - Same with Guardians, upgrading them to the next Lvl will increase their stats and Elemental Bonus. Note that your Guardian's Element will only affect their own damage output. Guardians are your companions in battle, they can boost your stats, can attack enemies, and do special skills. - You can have up to 3 Guardians, new slots can be unlocked once you reach Lvl 10, then Lvl 25. Unlocking Slots will require a number of Gold (15k and 45k) or Diamonds. - While in battle, if your 1st Guardian's skill is full, switch to your 2nd one to let it's skill fill up faster. Switch to your other Guardians again if you want to use their skills. - You may choose any Guardians you prefer, either to buff up your stats, to deal higher Guardian combo attacks, or simply because of their special skill. - Guardians with higher Stars will also yield better overall stats, but they are harder to summon. - Get at least 2 or 3 Guardians per Element, switch them around depending on what you need. - Get Free Guardians by completing Quests like gathering Gear Sets, Fusing Gears, and more. - You can also farm Guardian Soul Stones from most stages through normal drops or treasure spins. Once complete, the game will automatically summon them. - From the Guardians section, you can tap on their portraits to learn where to farm them. - Special Dungeons > Boss Raids: A nice optional place to farm the featured rare Guardians. - Use them to buy more Energy (100 Diamonds for 150 Energy). - Do not buy Energy if you are about to Lvl Up, wait for a while instead. - To view your EXP bar and progress, tap on your hero at the main screen. - Useful if you really want to get that rare gear from a hard to open treasure chest. - First re-spin will cost you 10 Diamonds. - Optional: Only use for Boss Fights like when fighting the Crimson Dragon at Crimson Lvl 20. - First Revive will cost you 10 Diamonds. - This is optional, or if you want to spend cash in this game. - Note that some Guardians can only be obtained from the Gacha Shop. - Go to Special Dungeon > Diamond Mine. Match all Diamond Gems as you go, and try to open treasures for a chance to grab even more Diamonds. - From Quest completion rewards. - Free from Daily log-in rewards. - From in-game events and compensations, check your inbox to redeem them. - Mostly for paying Training fees, Skill Upgrade fees, Gear Fusion fees, and for unlocking new Guardian Slots. - Other features are optional, but it is best focus first on the examples above. - Buy 150 Energy using 100 Diamonds (optional). - Find a stage that has at least 1 equipment reward (must be a normal drop, not from chests). Most Verdant Forest stages will only require 3 Energy per run, and opening chests are way easier, giving you more chance to get Gold Coins from Spins. - Example Stage: Verdant Forest > Verdant Level 8. - Match all Coin Gems as you go too. - Go to your inventory and sell all duplicate gears you farmed and other common materials that you don't need. - Doing this method should net you around 25,000 Gold Coins + EXP Points and other items (for every 100 Diamonds, excluding all bonus Gold you obtained from spins). - You can also try other stages at higher levels, but make sure that you can get at least 25k Gold Coins for every 100 Diamonds or 150 Energy (excluding bonus Gold from spins). - Also consider their drop rates and selling price when deciding, good luck! - Example: Rocky Canyon Lvl 15 is another good example for farming Gold and grinding EXP. - Plan and reserve some of your ATK Gems for your target enemy. If there are no ATK Gems available, clean up all Gems that you can to replace them before the next fight. - Match at least 6 ATK Gems to unleash a series of combos, best if you have those passive skills that will give you extra attacks depending on the number of ATK Gems that you can match. - Match at least 7 Guardian Gems to let all of your Guardians attack the enemy. - Try to charge up your Hero and Guardian Skills, reserve and use them together with your Friend's Skill. - After surviving a strong hit, you need to heal up fast to get ready for the next attack. Here's some tips that you might want to consider. - Match them all to get the best results. Note that the Heal stat of your hero will affect the amount of heal that you will receive. You can increase that by equipping gears and guardians with Heal+ stat, or through Training. - Guardians like Luana can do Healing Spells when their skill icon is fully charged. - Optional: You can also equip a Healing Skill or hire a Friend that can Heal. - Opening Treasures will sometimes give you a free Heal or HP Regen, but it's random and depends on the stage you are into. - Use the "Free Revive" option as your last resort, and if your Revive passive skill didn't trigger. VS An Enemy That Can 1 Hit KO! - It is most likely that you'll encounter these types of enemies on new regions, and one reason is that you can't mitigate their damages because of their Neutral Element. - If one of your enemy can 1 Hit KO your hero, equip Gears and Guardians with higher HP+ bonus. Don't forget their Elemental properties though, unless you are up against an all out Neutral Element enemies. - Order of Gears with most HP Stat: Shield > Armor > Helm > Weapon. Lvl Up to Increase Your Stats and HP Pool. - Grind for EXP and level up to get higher stats, and to unlock new skills. 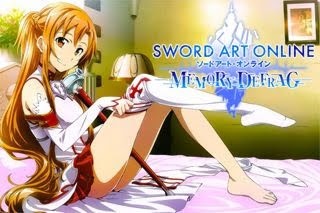 - To maximize your EXP gain, grind on stages that you can 3-Stars to get 100% EXP bonus. Stages nearest to the last stage of every region gives higher EXP, but harder to get 3-Stars. - Prioritize LIFE, ATK and CRITICAL since they give a huge impact in the game. - As much as possible, keep them going. - Increase Heal Rate, Magic Rate and Guardian Rate only if needed or if you have spare Gold. - Coin Rate is optional. - Farm new gears from Stages/Special Dungeons, or upgrade your existing ones to get higher HP pool and stats. - Gear Fusion will require a Gear to be upgraded, the Base Material (must have), and EXP Materials (for best results, follow the x2 or x3 bonus items). 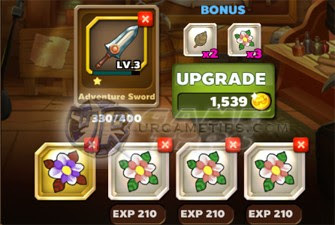 - You may also use higher EXP Materials, like Anvils for upgrading your best gears. - You can tap on the items too to view where to farm them, then tap any location you have unlocked to directly go there. - Add 10 Friends asap to be able to complete the Daily Quests. - To easily send out request invites, go to the Friend section > Add > Simply tap on the search icon without typing any names. - Gacha Guardian Pack = Chance to obtain a Guardian or a number of Soul Stones.